I've spent my whole career in data - specifically, data integration, transformation, quality, and analytics. 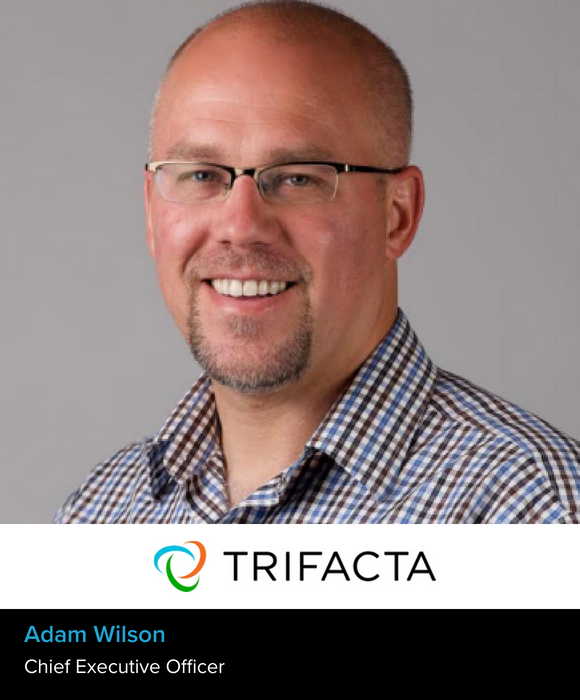 Trifacta was an opportunity to be part of what's new and what's next in this area. Rooted in foundational research coming out of Berkeley & Stanford, this was an opportunity to create a new category-- reframing prior data challenges as opportunities and modernizing the way people build data products using user experience powered by AI. The impact of this will not just transform the way people work with data, but will also solve the broader data supply chain problem that inhibits collaboration between the business users with context and those in IT responsible for governance. This list of mentors always starts with my Dad. He was a college president and I speak to him regularly on topics of leadership, organizational change, building a learning organization. Beyond that, within the industry, I have several mentors that map to specific functional areas where I can use advice. I've brought many of these people on as formal advisors at Trifacta. We now have close to 20 advisors that are available, not just to me, but to the entire management team to compare notes and learn from. This is one of our core values-- "always be learning." Our customer base has expanded massively in the past 18 months. We're rolling out big changes in how we do customer success. As we scale to tens of thousands of customers and hundreds of thousands of users, we're increasing investment, but we're also trying to better map customer needs to our post-sale support channels. Community plays a big role here-- so does training, and certification. We've also complied years of best practices that are now a core part of our new "Center of Excellence" methodology. Pay super close attention to what stage you're in as a company and the leading indicators for the next stage. It's hard to forward invest and it's okay if some things break as you grow the business >3x, but you need to be prepared to respond quickly. Our management team spends 50% of *every* quarterly planning meeting focused on strategic topics that will only impact us in 18-24 months. My kids. Can't wait to see them develop their super powers and the impact they will have on the world! Remember to seek disconfirming information and get comfortable making calls with incomplete information. There is a misnomer that with more and more data the "right answers" become obvious. Important decisions are never easy—or deferrable. When faced with hard decisions, make your call with the data available, rally around the outcome, and deliver what you promise.